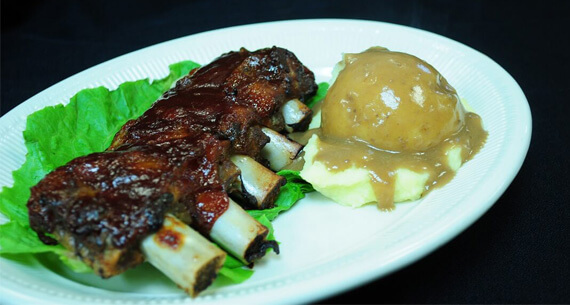 Restaurant Sunday April 21st Easter Buffet: Breakfast 8am-11am Dinner 11am-8pm C-store Special: Fresh Hot Pork Sausage Patties $14.99/10lb case. 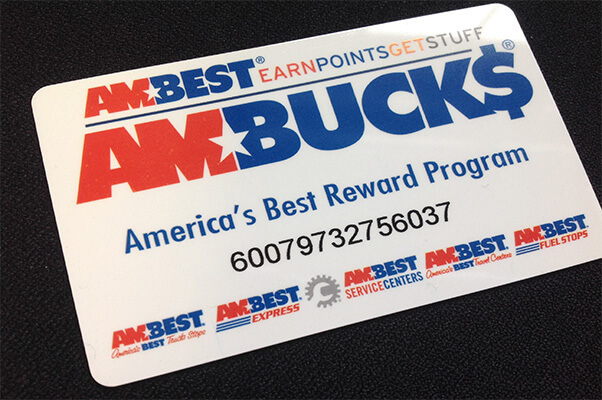 We Accept All Major Credit Cards Fuel Cards and Fuel Checks. Email travelcenter@abbyland.com with any questions you may have. Email cstoremngr@abbyland.com with any questions you may have. 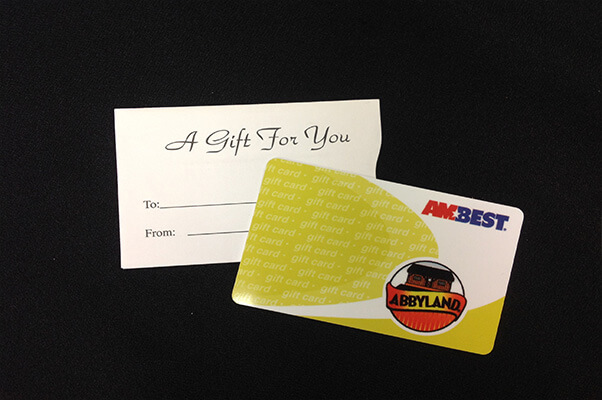 Our gift cards make great gifts! Stop in & pick one up. Harland Schraufnagel, President and Owner of the Abbyland Companies, is a native of Wisconsin. He was born in Ashland, raised in Abbotsford, and graduated from AbbotsforSd High School. After graduating from high school, he attended North Central College in Wausau, and graduating with a degree in Agriculture Business in 1963. Harland enlisted in the Army, went to veterinary school, and studied to be a meat inspector through 1966. Throughout the years, Harland’s vision was to start Abbyland Foods, Inc. On October 4, 1977 his dream became a reality. 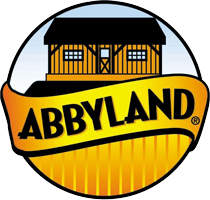 In 1981 Abbyland saw the first plant expansion and the beginning of a major start of sausage production under the Abbyland sausage label for retail sales throughout the state of Wisconsin. Employment was up to 35 people. 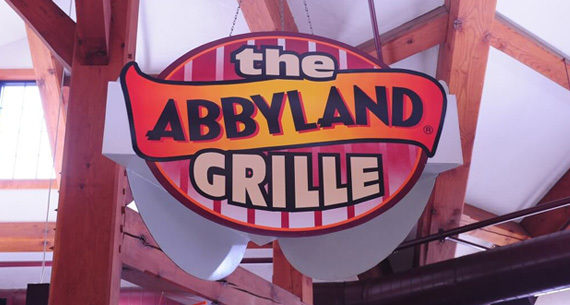 1984 was another serious effort to expand Abbyland sausage name, with employment up to 60. 1988 saw the start of Abbyland Pork Pack, Inc. located in Curtiss, WI, the plant was built to accommodate fresh pork for sausage manufacturing. Plant capacity was reached and sales continued to reach record levels. In 2006 a new added dock capacity and new additions for manufacture. 1989 the start of the Hot Wrap plant in Abbotsford, WI. This was our first adventure into the fast food product line. “THE SAUSAGE AND BUN – ALL IN ONE”. 1989-1991 Were the years that started the company’s major market impact by contracting and marketing with the Milwaukee Brewers and selling Abbyland Brats at the Milwaukee County Stadium. 1990 Started our trucking division Abbyland Trucking construction began in Abbotsford starting out with two straight trucks, fourteen semi-trucks, and sixteen trailers. November of 2008 Abbyland Trucking moved to a new facility in the Curtiss Travel Center complex. Today Abbyland Trucking proudly displays our logo on 155 refrigerated semi-trailers delivering our products across the United States. 1997-1999 found us doing a major overall look for the plant and the operations in Curtiss. Also the Home and Field Division of pet treats using the “Dem Bones” label began production in Abbotsford. 1998 Employment was up to 375, 150 of which were employed by Abbyland Pork. November 2002 Curtiss Travel Center another significant project started to take shape… the building of El Norteno Mexican Restaurant opening in January 2003 offering authentic Mexican food and along with their fantastic margarita’s and full bar along with the opening of Abbyland Travel Center on July 28, 2003. This provides a boost to the area economy creating over 80 new jobs and create a “destination point” for travelers, locals, and professional truck drivers. This facility constructed with Canadian Douglas Fir timbers houses a full service restaurant, fuel, showers, RV service, C-store and scale for weighing trucks. “YOUR ONE STOP FOR ALL YOUR TRAVEL NEEDS”. In May 2007 the Foods Division in Abbotsford opened the first of two expansion facilities. A second facility began production in March, 2008. November 2008 Abbyland Trucking moved into their new facility in the Curtiss Travel Center complex. 24hr on call service truck, wash bay for livestock trailers, semi’s, RV’s, over the road truck maintenance service, tire and chrome sales. 2013 brought another milestone to Abbyland. A General Distribution Center was completed in Curtiss and opened for production. Includes cold storage for product made at our Pork Pack facility. September 2014 Abbyland Employment Center was created, offering a central location for Abbyland’s hiring needs. June 2015 a Shipping and Receiving facility was added. Summer of 2016 is the start of the yet another division of Abbyland a specialty sausage line in a state of the art automated production. Today Abbyland, Inc. has over 1000 employees working in 5 divisions.